Added 2013 February 4th A TWO COLOR SPIRAL SENNIT"
I'm honored and flattered that you keep using my name. 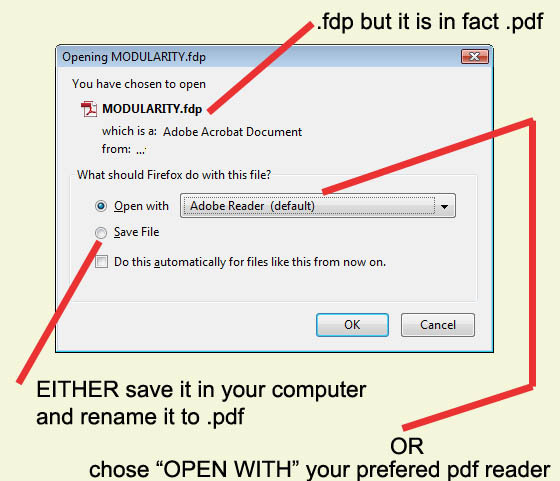 Could you post this on your page? I'm flattered that, as a shorthand way of talking about it, you've started hanging my nickname on this bit of kinkery. However, I'd hate to have that "stick", at least without some demurring!! Obviously I'm open to suggestions! Not that I'd seriously object to joining Mr. Walker!! But not without at least asking for a better name for this. SO, is there anything besides "Jimbo's Sennit" that names this? Just asking. I'm fascinated by the discussion!! It would flatter me to be remembered, but I can't sit idly by and let that happen. Besides, it's the Adjustable Ancient Sling that I actually DID invent "from scratch". I got too much of this from TIAT to take full credit. bizarre IMO nothing more than an astute commercial gimmick for me) label but I will never believe that he was its 'inventor'. It is a much too simple algorithm not to have been found before by several of the so many knots tyers since humanity began playing with rope. His proposed 'avatar' of this knotting algorithm is soft, without any mechanical special characteristics, yours have very special mechanical characteristics and in all what I have seen this TIAT person did not even begin to hint at that. a new mutation from it he owes nothing to the rose diffuser of the rose he starts with since then it is a completely different flower that is proposed. and anyone with functional eyes and brain can easily see that. Still it would be nice to have some proposal if only just for the fun of it. I have written a tutorial for a strange, springy sennit I half made-up half discovered. Here is my test using this tutorial. I started with two equal length, about140cm , 150cm each. At the point of the firsts2Pi helix GREEN has 44cm more left on each"branch" than RED has. This spiral sennit by Jimbo has really surprising MECHANICAL CHARACTERISTICS yielded by a particularly tight setting ; this is the point that here is the real novelty as the knotting algorithm is so simple that anyone in the long past of knotting could have invented, re-invented it a thousand times, no particular genius in it, just systematic exploration or as Desmond Mandeville named them : "trambles".(REEF...REED....SEED...SHED...SHOD... 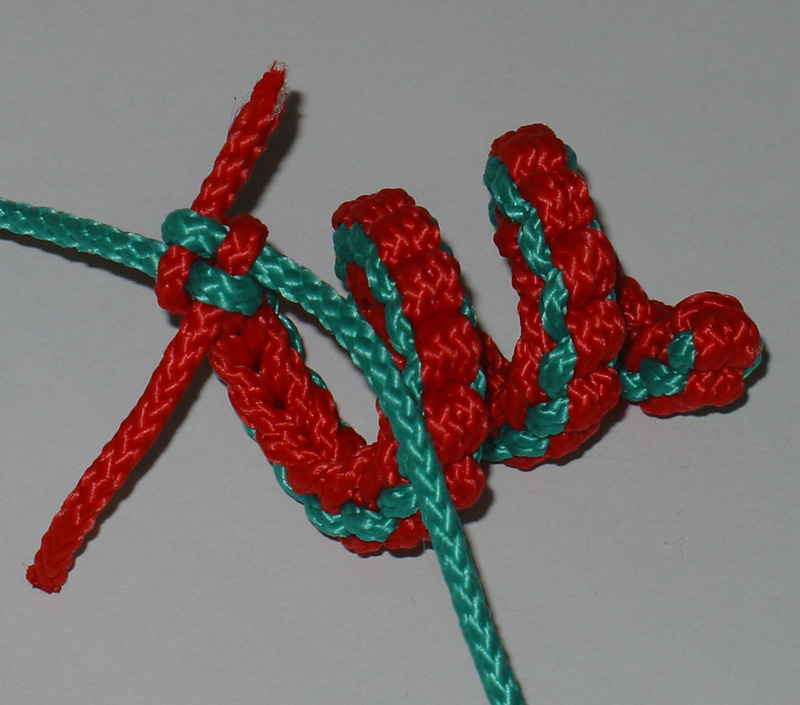 SHOT...SNOT...KNOT , one crossing change at a time and see if the knotted structure still makes sense ). No special intelligence needed, just perseverance and paper and pencil to take notes. invention of someone called JD TIAT and not at all Jimbo's. 1/ As far as I know Jimbo never claimed to have invented the knotting algorithm but only to have obtained/discovered particular mechanical properties that were previously unpublished. 2/ Just as Nature use co-evolution, findings can occur independently, in particular with a so simple knotting algorithm. Only the worst observer will be unable to see the astronomical MECHANICAL difference in behaviour between this STRAIGHT and SOFT Endless Falls structure and Jimbo SPIRAL UNDER TENSION with its very peculiar behaviour. UNDER TENSION , sufficiently so to induce a sort of shape memory which gives it is holding power. 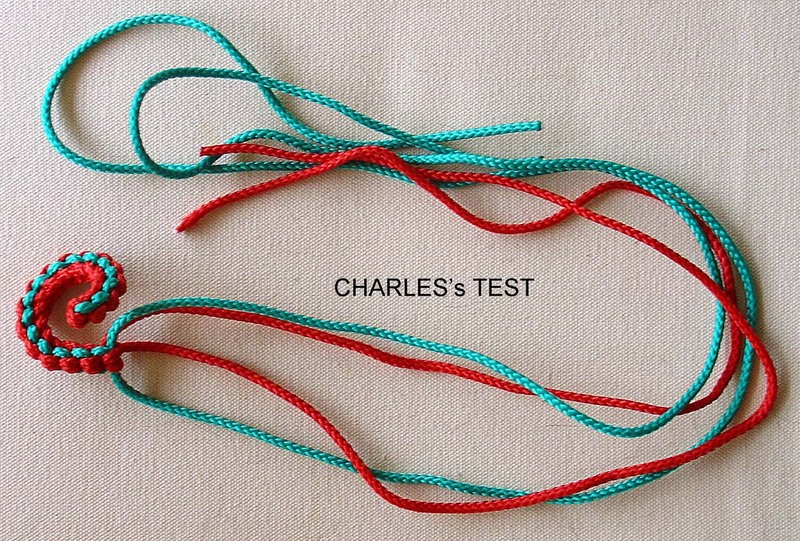 You need to be blind and know nothing about knot tying to confuse this knotting algorithm with the other one. So there is indeed no need to imply, even indirectly, plagiary and lying from Jimbo and myself. You will also find idea from JIMBO in the Friend's pages.